Hanover - The fact that Hannover 96 were able to pull off one of the greatest Bundesliga escape acts in recent years - winning their last two games to beat the drop after failing to pick up a victory since Matchday 16 - was largely down to the efforts of one man: Lars Stindl. His superb performances, particularly towards the end of the season, were made all the more remarkable given that his summer move to top-flight rivals Borussia Mönchengladbach was announced with eight matchdays still to play. On the day news broke of Stindl’s impending transfer to the Foals, Hannover were sat just two points clear of the relegation zone in 14th place. Their most recent attempt to draw a line under a then nine-match winless run had once again ended in disappointment - in this instance a 3-2 defeat at home to Borussia Dortmund - and it was only after another six games of blood, sweat and what seemed like a bucketload of tears that the Reds were able to break the cycle. On the penultimate weekend, having been on target a week earlier in a 1-1 draw with SV Werder Bremen as well as twice in the aforementioned loss to BVB, Stindl registered his third brace of the season to hand Hannover a priceless 2-1 win over FC Augsburg. The result represented the Reds’ first three-point haul since 16 December 2014 and crucially put their dwindling hopes of beating the drop firmly back in their own hands. 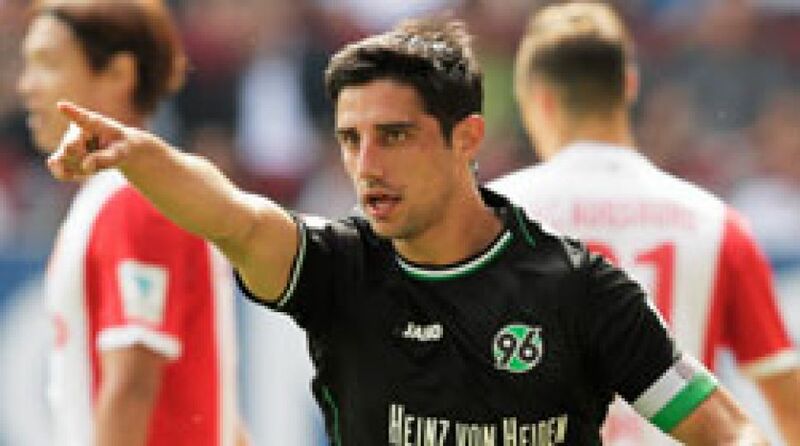 Stindl was unable to add to his ten league goals and three assists against Freiburg on Matchday 34, but there could be no denying that he was the driving force behind Hannover’s survival, his qualities as an all-round midfield man of action - subtle movements, explosive runs, ball distribution and poacher-like finishing - ultimately keeping the Reds in the Bundesliga safe house for another year. Planning for life after Stindl is an unenviable task, but what is certain is that he will forever be remembered at Hannover as a modern-day great. He didn’t bring silverware to the club, but he lit up the HDI Arena like never before - even in the their darkest hour. When Hannover sporting director Dirk Dufner labelled the 96ers’ captain fantastic “our most important and valuable player” late last year, he really did mean it, and few would disagree.